POLL QUESTION of the WEEK: What qualities do you think make a teacher “GREAT”? YOU ARE INVITED to attend “Student-Led Conferences” at Georges Vanier Elementary on Thursday, October 24th from 2:30 – 4:00 p.m.
What are “Student-Led Conferences?” Student-Led Conferences are an opportunity for your child to personally share information about their learning. Your child will take the lead during the conferences, share samples of their work, demonstrate skills, discuss goals, and answer any questions you might have. Enhance communication between student and parents. We hope you are able to attend this special event. Students will be working hard to gather work samples and reflect on their progress so far this term. Please indicate below if you are able to attend your child’s Student-Led conference. If you are not able to, your child will conduct the Conference at home. Thank you in advance for your support. Gardening is a great way for children to learn new skills and have fun. From tending their own plants, they can learn about the science of plants, animals, weather and the environment. Children can learn new skills, have fun, play and develop self-confidence by spending time in the garden tending and growing plants. Most children enjoy being outdoors and love digging in the soil, getting dirty, creating things and watching plants grow. This past week, grade 3 students from Mrs. Wiebe and Mrs. Hopkins class planted daffodil bulbs around the school. We will all anxiously await for the plants to make their appearance early next year! Grade 3 students planting bulbs. We are happy to announce that Chelsea Bryant has been hired as a teacher for one of our Kindergarten classes. Ms. Bryant is a regular Teacher-on-Call and should be a familiar face to many students, staff, and parents. 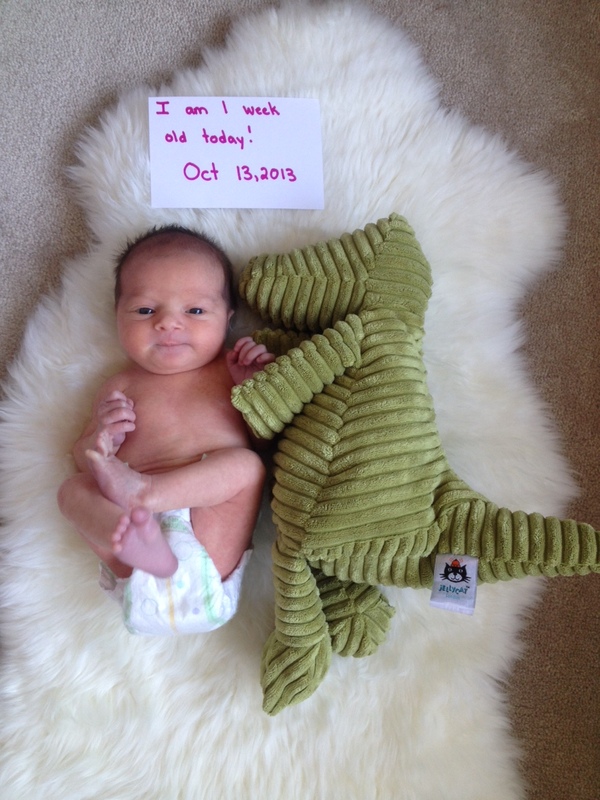 Ms. Bryant is filling in for Mrs. Pulvers who is off on maternity leave, and who we are happy to share, welcomed a 5 lbs. 10 oz. baby girl named Ayla to the world on October 6th. I was trying to do two things at once — cook (in the kitchen) while deciphering some paperwork (in the next room). I’d been interrupted a thousand times with requests for snacks, shrieks over spilled paint water, questions about what squirrels like to eat, and arguments over whether clouds could be blue and flowers could be green. And did I mention that a ruptured disk in my back was throbbing even worse than my head? I erupted like Mount Momsuvius: “Enough! Get out! Stop bothering me!” The look on my daughters’ faces said it all. The 2-year-old’s eyes widened. The 4-year-old furrowed her brow and jabbed her thumb between her lips. Immediately I wished I could stuff the hot-lava words back into my mouth. They certainly hadn’t come from my heart, or my brain. We all say the wrong thing sometimes, leaving our kids feeling hurt, angry, or confused. Read on for some of the most common verbal missteps moms and dads make, and kinder, gentler alternatives. This week in the Learning Commons students celebrated some of our great books. We used Pic Collage App to create posters and then blogged our favourite book covers. We are thankful for the wide variety of materials we have available to us and are proud of the quality of our resources. Unfortunately, every year, we loose a significant number of books due to damage and loss. The biggest problem is leaking water bottles and sticky lunches. Wet pages turn mouldy and the books cannot be salvaged. Please make sure lids are on tight. Vanier students know not to draw in books but younger siblings or cousins should be supervised. Families may be asked for full or partial replacement costs of damaged books. 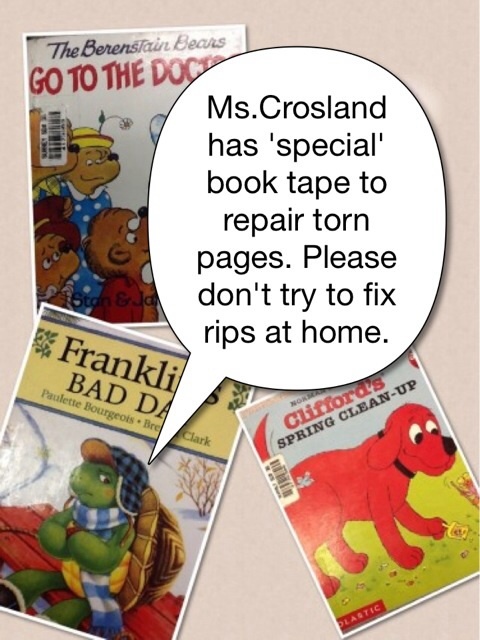 Accidents happen, and if you are unable to contribute towards a book’s replacement please let Ms. Crosland know. Also, mark your calendars: Fall Book Fair Oct 28th to Nov 1st. Yahoo! Sometimes it takes something serious to happen in our lives before we truly realize what is important and what we are thankful for. Take a few minutes to watch and discuss this video with your child. 15 – Cross Country Meet at Bear Creek Park – 2:45 – 4:30 p.m.
17 – Intermediate Spelling Bee – 10:45 a.m.
23 – Division 10 – Clay Workshop – Surrey Arts Centre – 9:00 – 12:30 p.m.
24 – Student-Led Conferences – 2:27 p.m.
29 – PAC Executive Meeting – 9:00 a.m.
5 – PAC Meeting – 9:00 a.m.
7 – Remembrance Day Assembly – 9:00 a.m.
15 – Movie Night – Doors open at 6:00 p.m.
21 – Math Night – 6:00 – 7:00 p.m.
12 – Early Dismissal – 1:27 p.m.
16 – Primary Spelling Bee – 1:30 p.m.
13 – Early Dismissal – 1:27 p.m.
10 – Intermediate Speechfest – 1:00 p.m.
17 – Movie Night – Doors open at 6:00 p.m.
8 – Primary Speechfest – 1:00 p.m.
20 – Grade 7 Celebration – 9:00 a.m.
26 – Year-End Assembly – 9:00 a.m. This entry was posted in Vanier News and tagged @georgesvanier36, assessment, georges vanier, georges vanier elementary, home school communication, learning commons, parenting, parents, planting, planting bulbs, student led conferences, surrey, surrey schools, surreyschools, teacher quality, thankfulness, vanier. Bookmark the permalink.